Certain medical conditions require “specialty” drugs which unfortunately are not offered by most pharmacies. 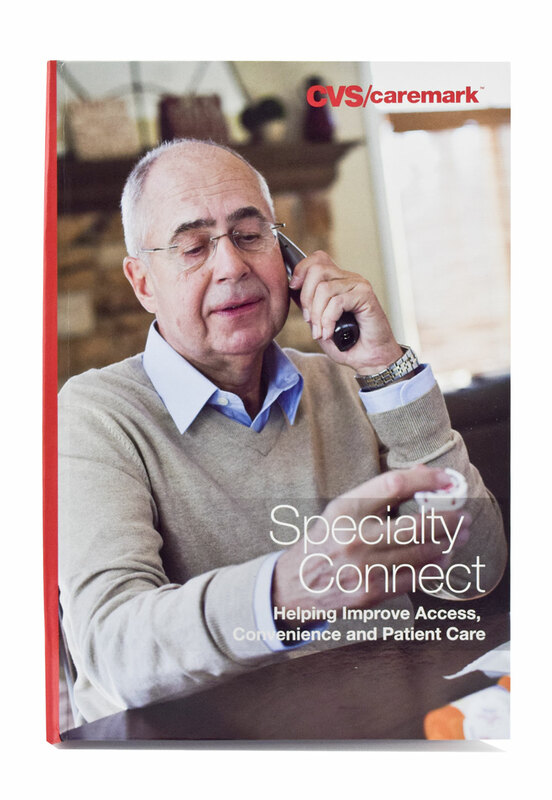 CVS saw the need to fill this void by creating “Specialty Connect”, an infrastructure that seamlessly integrates into local pharmacies while also providing on-going clinical care from dedicated specialty teams. 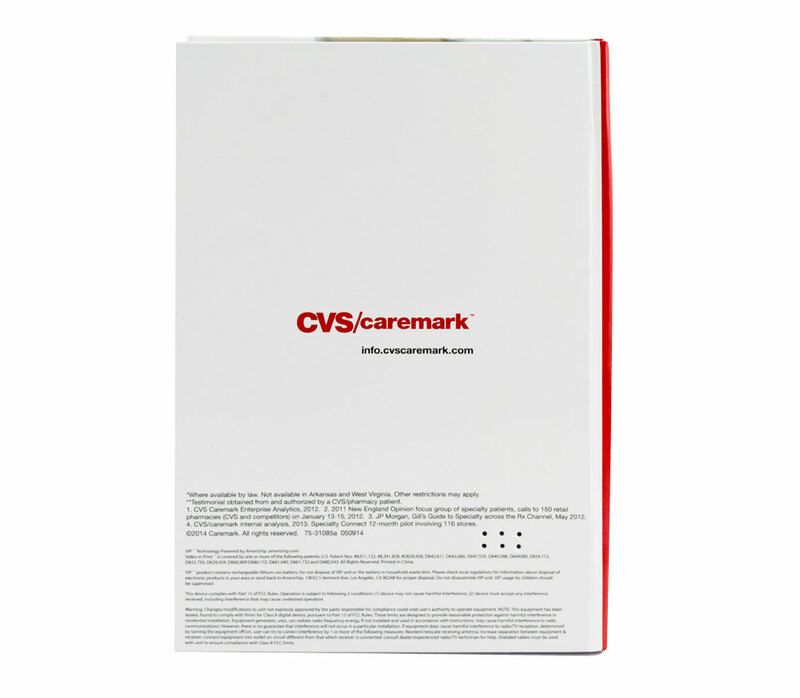 After initial testing, CVS was now ready to launch their new program and they needed a way to get their message out and to introduce and inform prospective pharmacies of the benefits of their new service. Connecting with the pharmacies was one objective, effectively informing and attracting them to the program was another. 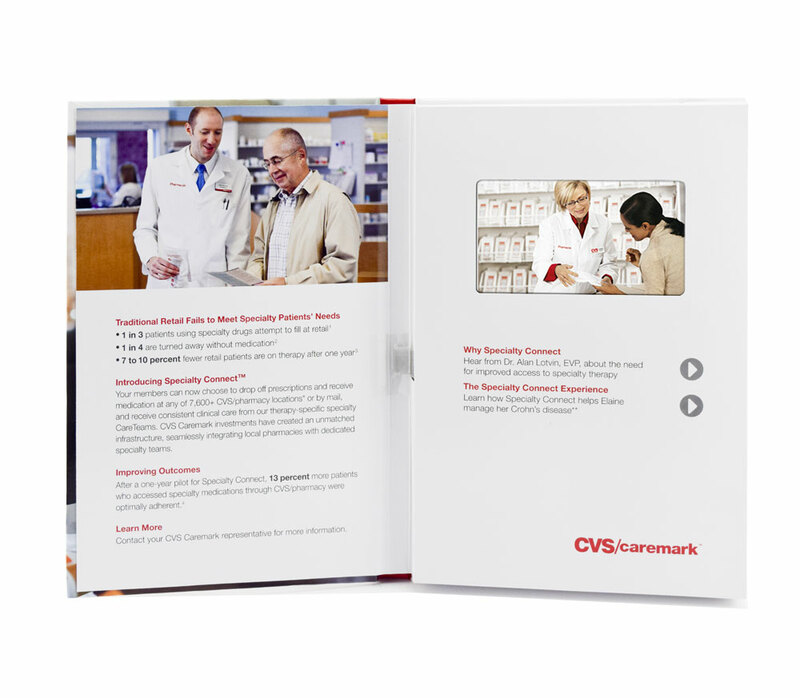 With the help of Americhip’s Video in Print technology, CVS moved forward with an interactive video brochure that informed pharmacies of the new program. The brochure had a 4.3” screen with 2 video chapter buttons. The video content included an explanation of why the program was needed as well as an intimate testimonial from an actual patient who personally explained the benefits of the new program and how it helped manage her medical condition. 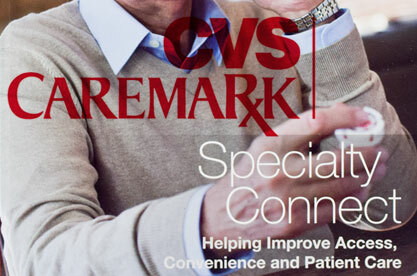 With Video in Print, CVS was now able to deliver important details about “Specialty Connect” while also influencing prospective pharmacies to look to CVS for their specialty drug needs.